Star of Bethlehem is also known as omithogalum, which is becoming more popular for use as wedding flowers, owing to its pure white petals and contrasting green cones that lend to a wedding’s overall theme. Its star-shaped blooms are formed when they open to reveal white petals surrounding green, cone-like blooms that erupt from tall, green stems. The prevailing trend with floral designers has been to use them in bridal bouquets, as well as wedding centerpieces. They are grown in South America and are available year round, coming in large, bulk quantities. They are carefully packed for supreme quality and freshness. 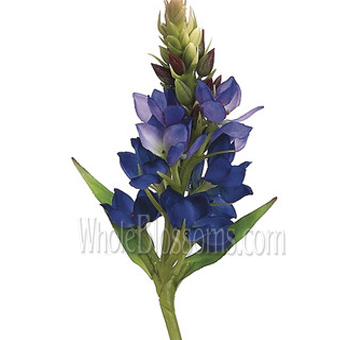 The star of Bethlehem flower is known as a summer and spring flower which comes with star-shaped blooms. The flower resembles grass foliage with its appearance and can be traced to the Mediterranean region, and they grow like wildflowers in the countryside. 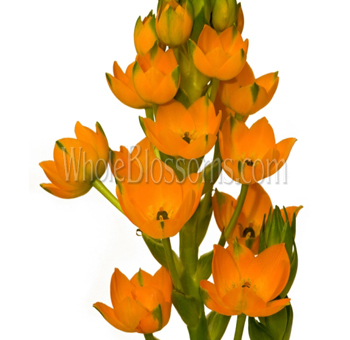 These flowers can come in a variety of colors like the orange and white star of Bethlehem flower. The white and graceful color of the flower can give an elegant look to flower arrangements. The bulbs of the flower can be traced to the family of lilies. These flowers consist of about six petals which can resemble a star. The beautiful flower has a wide range of symbolism, and it can be showcased to represent innocence, honesty, hope, and even purity for the white color of the blooms. The Flower is primarily associated with the many traits of Jesus as it stands to represent his birth. It is used in many religious events and other special occasions. 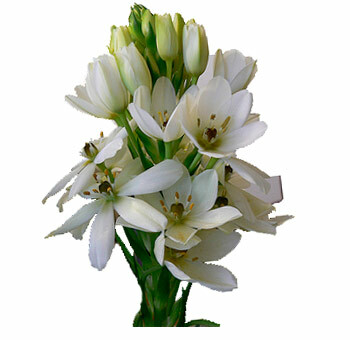 The flower is also called Dove's dung which comes from a Greek word, Ornithogalum. The word supposedly means the bird's milk flower. There are many exciting origins for the name of the flower. These flowers can be traced with legends, which say that God created the flower and provided it to wise men. After the flower completed its purpose, God didn't want to take it away from earth. The flower blessed mother earth with its beautiful presence. The many bits of the flower gave rise to the white blooms. Thereafter, they got their famous name of Stars. The rich history of the flower is still capable of surprising many and hence, can be a fantastic choice for floral arrangements. 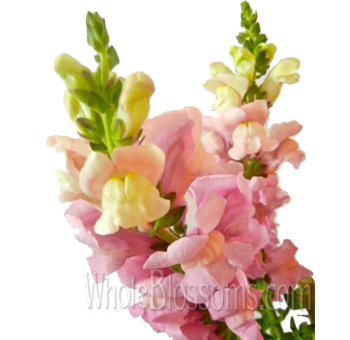 It has been popularly used in many floral bouquets and arrangements for special occasions like weddings and other Christian ceremonies. The flower can stand to signify a lot of things, and it represents the hope for a positive future. Hence, it is widely used in weddings theme for any floral decorations and bridal bouquets. Where to buy Bethlehem Flowers? 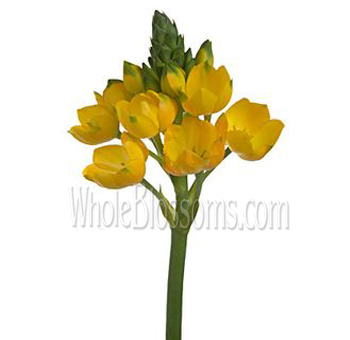 Get your hands on the distinct colors like the yellow star of Bethlehem flower. These tiny flowers can bless floral arrangements with their enchanting beauty. When they're paired with turfs of green leaves, they can make for a magnificent floral bouquet. You can quickly get fresh flower arrangements from trusted online florists like Whole Blossoms. These intoxicating flowers can add an exciting twist to any floral decoration. The captivating presence of the flowers can sway anyone with their unique blooms. With creative arrangements, they can be the perfect addition to any decoration of flowers. Get bulk arrangements of flowers delivered right to your doorstep from reliable online floral shops. These flowers can be the perfect choice to express the deepest and most sincere emotions to loved ones. With their beautiful and colorful presence, they can lighten any setup. The historical significance along with the symbolic meaning of the flower makes it even more special and unique for floral arrangements.